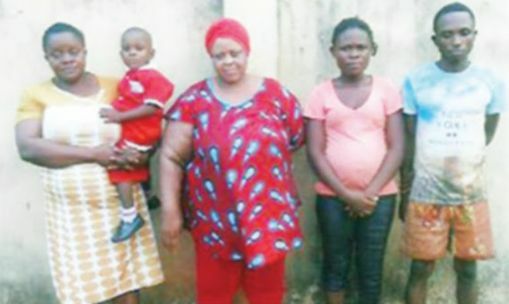 The Anti-kidnapping unit of the Imo State Police Command has arrested a couple, Ifeanyi Anyanwu and Amarachi Ugorji, for allegedly stealing and selling a two-year-old boy, Ikechukwu Nwachukwu for N500,000. It was, however, learnt that prior to the incident, Anyanwu and Ugorji had sold their first child on credit to a man in Port Harcourt, Rivers State. The state Police PRO, SP Andrew Enwerem, during a parade on Wednesday, said in the latest incident, the couple kidnapped and sold Nwachukwu for N500,000 to one Ifeanyinwa Duru. Emmanuel said her desperation to have a male child after the death of her husband lured her. A police source told Punch that operatives of the command were already closing in on the buyer and would soon arrest him and rescue the child.